In the past few weeks, snippets of information have leaked out from President Bush’s advisory panel on tax reform. Although details of the two proposals are still sketchy, it’s clear that the panel has talked about abolishing federal deductions and credits for mortgage interest, state and local taxes, charitable contributions, and the costs of higher education, among others. Instead, those complicated tax breaks would be replaced with a simpler system, including giving taxpayers three savings plans instead of the myriad of plans now used to save for retirement and medical expenses. But for homeowners, the concern centers around the elimination of the mortgage deduction. Under current tax law, homeowners can deduct the interest on mortgages up to $1 million, plus interest on another $100,000 in home equity loans. The benefit you get depends on how high your income is, according to Bob D. Scharin, editor of Warren, Gorham & Lamont/RIA’s Practical Tax Strategies, a monthly journal written for tax professionals. 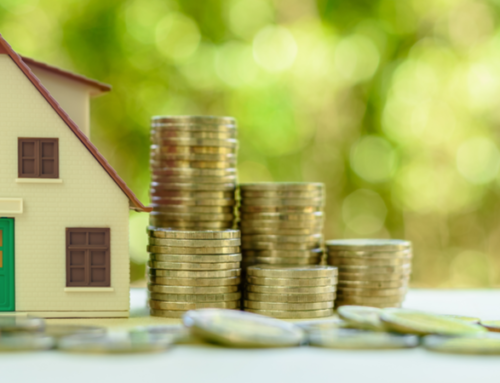 Under current tax law, if you spend $10,000 in mortgage interest in a given year, and you itemize on your federal income tax statement, the tax benefit you receive depends on your tax bracket, Scharin explains. “If you’re in the 25 percent bracket, you’d save $2,500. If you’re in the 35 percent bracket, you’d save $3,500,” he said. Once you hit a certain income level, your mortgage interest deduction, as well as other deductions, begins to taper off. Under details of one of the new plans, the mortgage interest deduction would be replaced with a straight dollar-for-dollar credit of 15 percent, or a $1,500 tax benefit on the $10,000 spent in mortgage interest, regardless of your tax bracket. In addition, the new proposals would reduce the $1.1 total mortgage and home equity amount to something much lower, probably around the limit the Department of Housing and Urban Development (HUD) sets for FHA loans, Scharin explained. In 2005, that limit was $359,650 for single-unit properties, $460,400 for two-unit properties, $556,500 for three-unit properties and $691,600 for four-unit properties. In high-cost areas, like Hawaii, the loan limits at 50 percent higher. “If your mortgage amount was higher than that, you’d have to allocate your interest. You’d have to figure out how much of the interest came from the loan within that limit. It’s going to be complicated for many people,” he added. Another issue that needs to be addressed is how the new tax proposals would be phased in. “It’s possible that the accounts you have now would continue. These changes would be about the future. When tax law changed in 1986, existing homeowners were grandfathered in. It’s possible that the mortgage interest deduction you have now you would continue to have until you sold the house,” he noted. Scharin says that changing the mortgage interest deduction could affect housing pricing because home buyers factor in not only their monthly payments but how much they would get back from the mortgage interest deduction before making an offer. “I’ve heard some commentators say the (mortgage interest) deduction has increased home prices because people buy as much as they can afford. With a smaller credit, the tax savings is smaller, and you’ll pay a smaller amount” for the property, he added. However, approximately 70 percent of taxpayers don’t use the mortgage interest deduction because they don’t itemize on their federal income tax statements. Instead, they do better by taking the standard deduction. “The question is what happens to the standard deduction, which would become the new family credit,” Scharin observed. Scharin points out that President Bush’s tax panel is supposed to recommend changes that would be “revenue neutral.” In other words, it’s not supposed to raise taxes, but would simplify them. “When you’re looking at something that’s revenue neutral in the aggregate, you will have individual winners and losers. Some people will end up mainly on the losing side with these changes,” he noted.